This is yet another of my quirky choices, picking on a tool which you can, in theory, still buy... or can you? In the olden days when dragons ruled the earth 'and I were a lad' it was natural to own a set of firmer chisels, as well as the bevel edge variety. 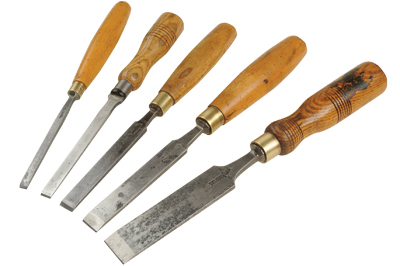 Of course, there are plenty of chisel types still available such as paring, registered mortise, sash mortise, corner, skew and framing. Unfortunately, the older type of firmer, with its lighter build and straight sides, has fallen prey to the more appreciated and versatile bevel-edge chisel. You can still buy some firmer chisels but the build is more substantial than the older ones I have chosen, so the definition of firmer seems to have moved with the times. 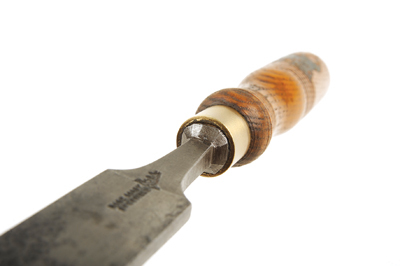 What is so special about a vintage firmer chisel? It feels good working with finer-quality tools and being able to grasp the flat shank between finger and thumb - no plastic handles in sight. The square sides act as a guide when creating a mortise as they tend to stay square in the hole or when cleaning out housings, and the steel, being older quality, will keep a good edge. Go to virtually any DIY or tool shop and you will be confronted with sets of the bevel edge variety, some very cheap and cheerful from the Far East and other quite expensive ones from western sources. But if you visit my favourite 'online marketplace' or your local flea market, chances are you will find old box- or ash-handled firmers on sale quite cheap. So why does this pattern of edge tool matter? Maybe it doesn't in the modern world, but they are likely to be made from good-quality steel and have nice handles to boot. I think readers must know by now that I like collecting and restoring old hand tools, so, for me, acquiring well-used quality chisels is quite natural. 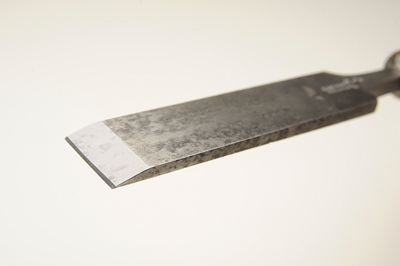 If you go this route, make sure that they have not been 'restored'; this often means the blade has been 'linished' with a wirewheel or emery paper, which will round off the original square profile so the surfaces won't be entirely flat any more. 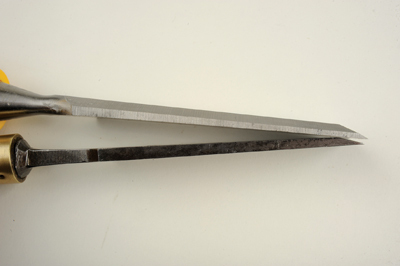 The handles tend not to get repaired, but will frequently have pieces missing from mallet blows which they weren't intended to take, whereas hooped chisels are. Old chisels are imperial sizes of course; build up a set that suits your work, maybe no more than four or five. Allied to a set of more chunky modern bevel-edge chisels, you will be equipped for any task.